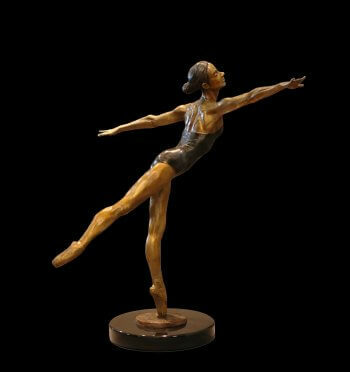 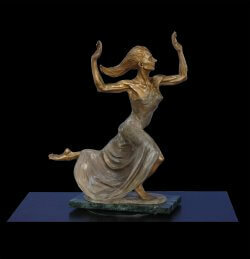 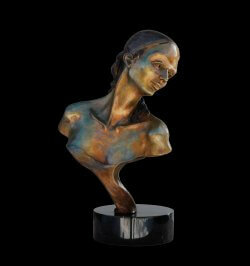 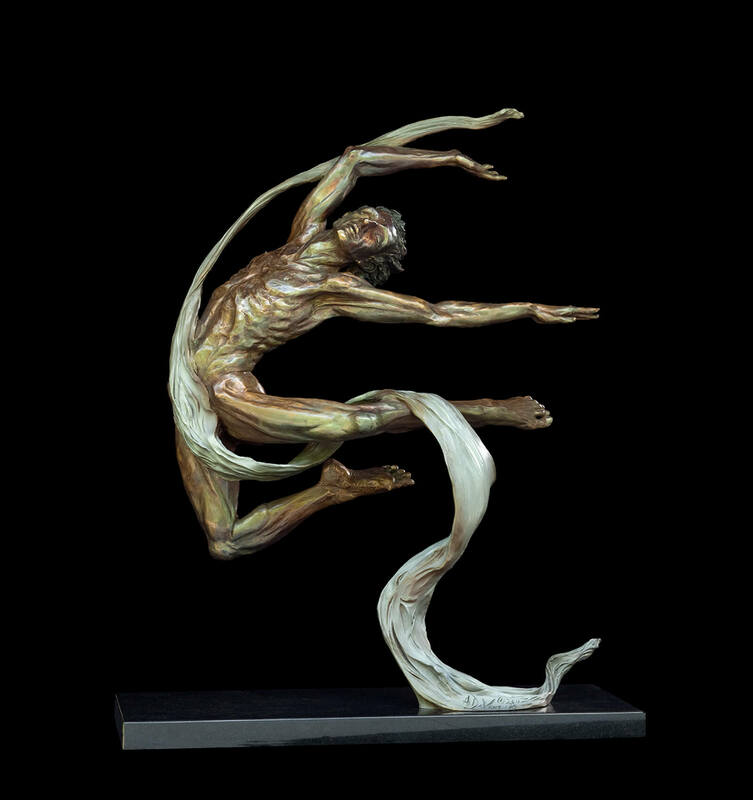 Moment of Grace is a bronze ballet dance sculpture of a young dancer who has found that feeling of grace in her art form. 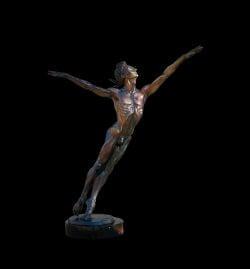 It was commissioned from a smaller version. 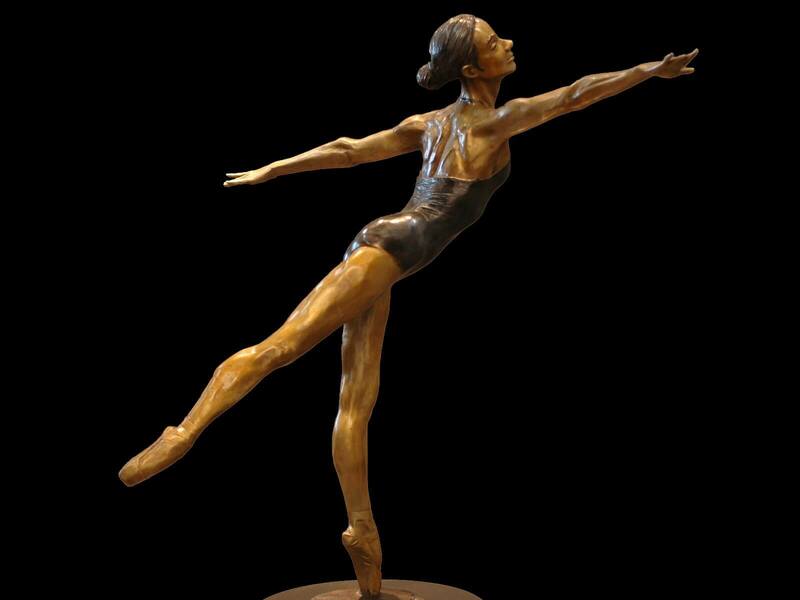 The patina chosen brings the feeling of a ballet studio with the black leotard and dark hair contrasting with the gold tones of her face, arm and legs.